This is the mould as it came off the buck and awaiting trimming. Came away easily due to careful application of several layers of mould release wax and water based parting agent. 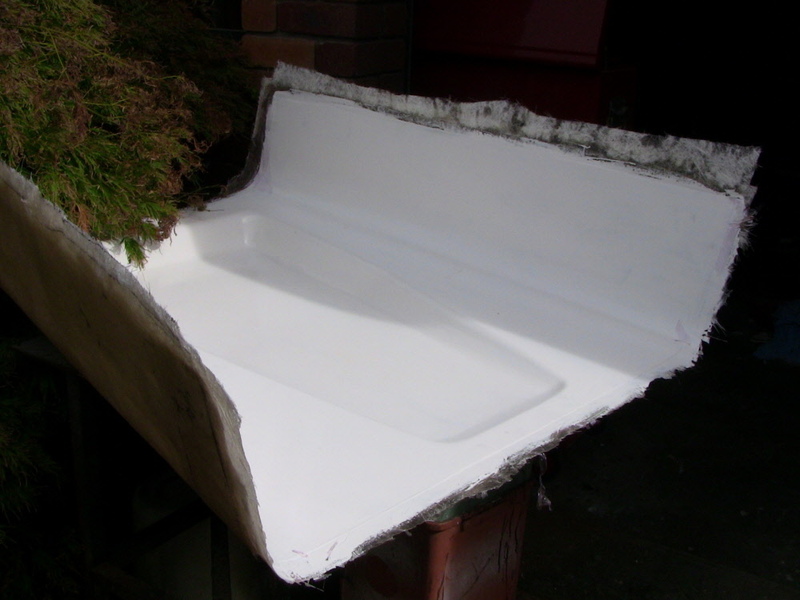 The edges of the mould were trimmed but left longer than the correct size and after the Gelcoat was blocked back and a few imperfections repaired it was ready to make a bonnet.